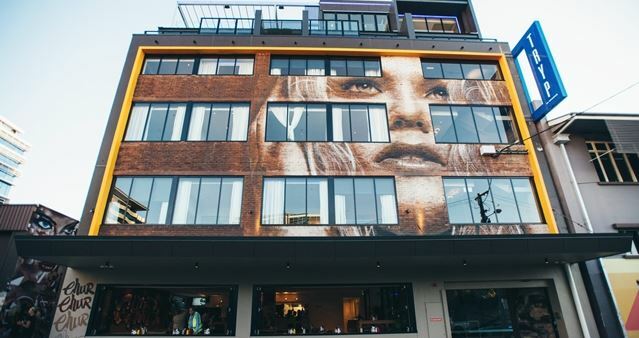 Tryp by Wyndham Fortitude Valley, Brisbane's first street art hotel and the first Tryp by Wyndham hotel in Australia, opened its doors last Thursday. 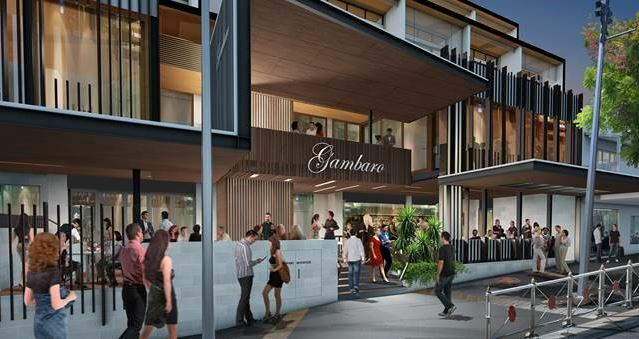 Located on Constance Street in the heart of Brisbane’s entertainment hub and the emerging corporate headquarters of Fortitude Valley, the four-and-a-half-star, 65-room hotel has ushered in a new boutique-style experience for corporate and leisure travellers visiting the area. The hotel joins the global select-service Tryp by Wyndham brand, which offers business and leisure travellers one part experience and one part destination with contemporary, unique lodging options in some of the world’s most cosmopolitan cities including Madrid and Barcelona in Spain, Paris, Lisbon, Portugal, Frankfurt and Berlin, Germany; Buenos Aires, Argentina, Sao Paulo, Brazil and New York City, among others. 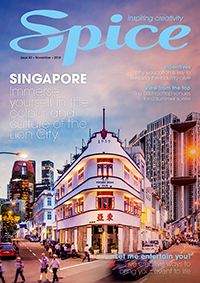 The brand’s ‘Own the City’ culture, which openly displays passion for guests and for the cities in which Tryp by Wyndham properties are located, aims to help guests make the most of their travels. Tryp by Wyndham is part of Wyndham Hotel Group, the world’s largest hotel company with approximately 7,540 hotels worldwide. Tryp by Wyndham Fortitude Valley has attracted attention for its displays of striking street art by acclaimed artists Beastman, Rone, Numskull and Fintan Magee, with all four artists assigned a different floor of the hotel during construction to design with their original artwork and murals, celebrating Brisbane’s lively art scene. The four-storey hotel’s queen and king rooms reflect the street-art theme, with edgy décor complementing contemporary styling. Select king rooms feature a balcony spa, internal spa or courtyard. 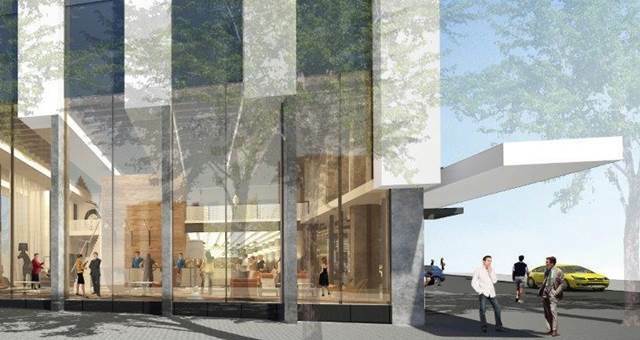 Guests are within walking distance of key business centres and some of Brisbane’s top attractions, including world-class shopping and dining, Fortitude Valley’s super clubs and bars, James Street Market and Chinatown. Additional hotel offerings include a meeting room and rustic features throughout. Last night, event guests were treated to personalised tours of the property by the artists while enjoying signature eats from celebrity chef Warren Turnbull, who has opened Brisbane’s first Chur restaurant on the ground floor of the hotel. The chef, who masterminded some of Sydney and Auckland’s busiest restaurants and bars, is also the brains behind Tryp by Wyndham Fortitude Valley’s rooftop bar, Up on Constance. 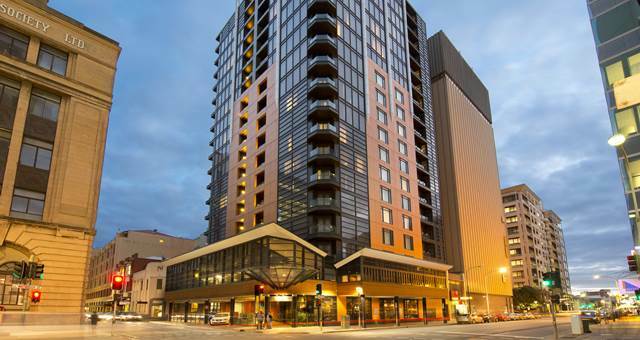 Hotel owner and developer Jay McPhee said, “Tryp by Wyndham Fortitude Valley was our opportunity to deliver a completely new and unique experience to the Brisbane accommodation sector. “The finished product is exceptional and has exceeded all of our expectations. We firmly believe the Tryp by Wyndham brand is the perfect fit for this product, thanks to its celebration of the one-of-a-kind cities in which properties are located as well as its ‘Own the City’ service culture,” said McPhee. Wyndham Hotel Group South East Asia and Pacific Rim president and managing director Barry Robinson said the hotel group was extremely proud to bring the Tryp by Wyndham brand to Australia, providing a new, value-driven option for both corporate travellers and leisure-seekers. Tryp by Wyndham Fortitude Valley joins 15 Wyndham Hotel Group properties in the South Pacific as of 30 June 2014, 11 of which are open and operating in Australia under the Wyndham Hotels and Resorts and Ramada brands.